really touched boigraphy of KhunSarDoon. We just known him as singer,this give us clear and completed infor for our Generation to appreciated his life and work for Pa-Oh. Yes, you are quite right Khun Pa-Oh, most people just know him as a normal singer. Actually he is much greater then just a normal singer. unfortunately i cannot read the biography you provided, but i wanted to thank you for all the khun thar doon songs you have shared. as well as all the other pa oh musicians. i would love to learn more about these musicians and listen to more of their music. unfortunately, i have not been able to find much on the internet. i especially like the nang pai char tracks. there is another pa oh musician that i have been looking for as well. i was hoping you have more information on nang phin sar? 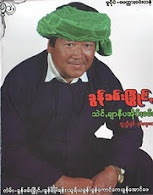 https://www.youtube.com/watch?v=NlAwH04q02U also this song with Khun Kham Shwe (nang pon sa) https://www.youtube.com/watch?v=X2G6FG8IXwE i have been able to find a few more songs by khun paw rann here: https://www.youtube.com/watch?v=Jfb9GS83JK0 and https://www.youtube.com/watch?v=kvczCNfuhFM i hope more pa oh cassettes show up on the internet soon. i have been looking everywhere, but you have shared the most tapes. any information you have on these artists would be appreciated. thank you.